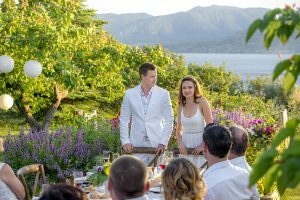 One of the tenets of romantic comedies is that fans often clamor for what happens “after.” Hallmark Channel has started answering that with a series of sequel movies (Wedding March 2 and the upcoming All of My Heart 2), not to be confused with the sequential franchises over on Hallmark Movies & Mysteries. 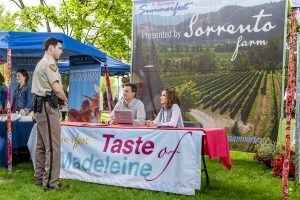 The latest film to follow that path is Summer in the Vineyard, a very fast follow-up to last September’s Autumn in the Vineyard. It’s a bit of a cheat because there are actually multiple source books, which I didn’t realize until after this one was announced as going into production. Rachael Leigh Cook and Brendan Penny return alongside the core cast of Laura Soltis, Jeremy Guilbaut, and Marcus Rosner from the original, plus Michael Kopsa replacing Tom Butler, and Tegan Moss, who appears in tomorrow’s Garage Sale Mystery: Murder by Text. The new film follows Frankie (Cook) and Nate (Penny) as they prepare for the launch of their premiere Sorrento vintage. 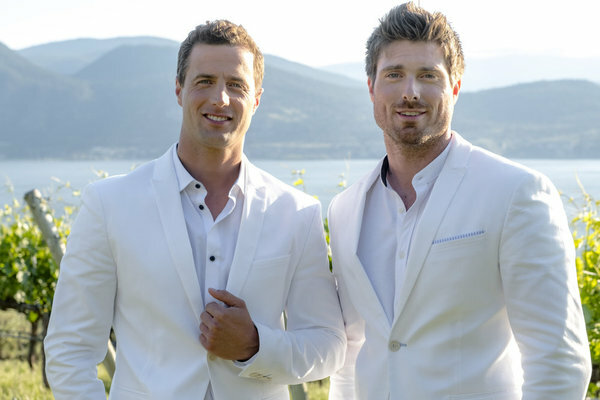 While overly focused on delineating their roles at the vineyard and separating their work and dating lives, they inadvertently end up tripping over each other when they’d be best served by working together. All of this is timed to the annual Taste of St. Madeleine summer festival and the arrival of Frankie’s cousin, Lexie (Moss), who finds herself warming to Nate’s brother, Marco (Rosner), which makes things additionally complicated. It all shakes out in the end, of course, but they have to navigate their disagreements and misunderstandings the same way they had to work at the beginning of their relationship in the earlier film. Cook and Penny are really good together, and I wouldn’t be surprised if we see more films with these characters since there are several books. It’s also nice to see Rosner, who I will forever see getting his head smacked mid-proposal in Birthday Wish, play a good guy who steps up. We’ll see him next year in Season 3 of UnREAL, too. 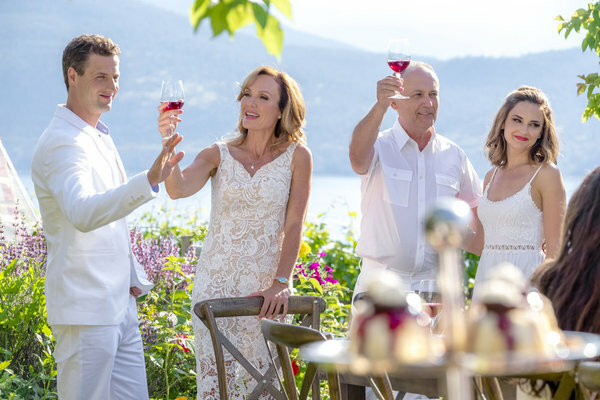 Filmed earlier this summer against the gorgeous backdrop of Pentincton and the Okanagan Valley in British Columbia (where the original was also filmed), the movie is very, very pretty and a lovely travelogue if you’ve never been up to that part of Canada. When Calls the Heart‘s Martin Wood directs a script by Julie Sherman Wolfe (Birthday Wish) based on Summer in Napa by Marina Adair. 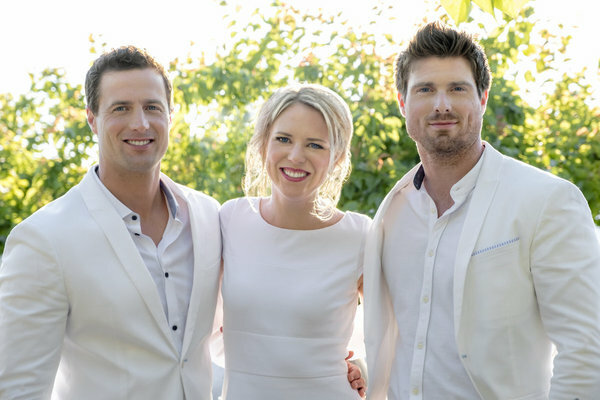 Summer in the Vineyard premieres Saturday night at 9/8c on Hallmark Channel as part of the network’s Summer Nights debuts, following a repeat of Autumn in the Vineyard at 7/6c. Here’s a sneak peek. The two vineyards that have been on are wonderful. I have watched both many times. Will there be a third? Hi Betty. I haven’t heard anything, but since there are multiple books, I think it’s probably likely.